What manufacturers of Glucosamine sulphate supplements often fail to tell you. Stop the inhumane treatment of horses for slaughter. This is even more important in light of the horsemeat scandal! Stop these unnecessary & inhumane journeys by joining World Horse Welfare's "Live Transportation" campaign. Much of the information about animal treatment and health found on the Internet comes from the USA. It is important to realise that the Laws in the UK are very different and what is OK overseas, is often against the Law in the UK - see the links down the right-hand side of this page. Horses feature prominently on this site but in most cases Complementary Therapies apply equally to dogs, cats and other animals and pets. It's just that many of the advances in Veterinary Medicine have come about through research funded (either directly or indirectly) by the equine industry so there is more information/research available with an equine "bias". In many cases, innovations have been developed in the field of Equine Veterinary Medicine and then been modified and transferred to the treatment of dogs and other animals. You can find details of many Complementary Veterinary Therapies:- by using the buttons down the left of the page - marked Chiropractic, Physiotherapy, Massage, Herbs (herbal medicine) including Ayurveda and the use of Indian Herbs following Ayurvedic traditions, Acupuncture and Homeopathy. Hydrotherapy is swimming (!) and this section reports on the health benefits to dogs and horses. The page about Glucosamine explains the problems with this supplement and a solution which has proved effective in the treatment of disease like arthritis and other forms of DJD (degenerative joint disease) in dogs, horses and other animals. Some of the therapies can only be given by a veterinary surgeon whilst others, mainly those involving manipulation, can be given under veterinary referral by a suitably trained and qualified Animal Therapist. Throughout this site we refer to "your animal" and as most of the holistic therapies featured here apply, mainly although not exclusively, to equines and canines - for "your animal" please read "dogs" and/or "horses". Check our links to Veterinary health resources. Most people know that glucosamine sulphate is good for the joints - just look at all the glucosamine supplements on the shelves of health food shops and animal feed shops - but do you know how glucosamine works? Do you know that there is a big problem because of the size of glucosamine molecules... a problem that means it doesn't work as effectively as it could? See our article about glucosamine sulphate and you will see how this problem can be overcome and find out what makes the world's top selling glucosamine supplement work more effectively than the others - for your horse, your dog, even for you! 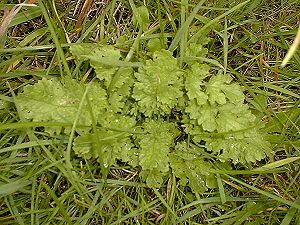 We also explain how you can get rid of this poisonous weed from your area. Cortaflex is the number one selling joint supplement in the world - for horses, dogs, cats and humans. It is proven to be more effective than any other glucosamine sulphate and chondroitin sulphate supplement because its unique formulation. Glucosamine and chondroitin molecules are too large to pass effectively from the bloodstream into the cells where they are needed. Instead of these large molecules, Cortaflex contains the much smaller amino-acids and aminosaccharides from which glucosamine and chondroitin are made. These smaller molecules easily pass into the cells and enable the cells to make their own glucosamine and chondroitin. You can learn more about this mechanism on our page about glucosamine sulphate. See our other resources about Cortaflex. Most formulations of Cortaflex now contain hyaluronic acid - a major component of synovial fluid (joint oil). This is essential for absorbing concussion in the joints and and provides cartilage with the essential nutrients and lubrication for free movement of the joints. Find out more about hyaluronic acid. The Law is very specific about who can give treatment to an animal. Find out why Cortaflex is the best selling joint supplement in the world! For Humans as well as Dogs and Horses!